A team of researchers led by Yuan Yang, assistant professor of materials science and engineering at Columbia Engineering, together with colleagues at the Department of Chemistry at Columbia University, and Stanford University have created a new, scalable, and low-cost “dip and dry” technique for fabricating a very efficient selective solar absorber (SSA) that can harness and convert sunlight to heat for use in a broad range of energy-related applications, from heating water and producing steam to residential heating. The team’s technique is explained in a new paper, “Scalable, ‘Dip-and-dry’ Fabrication of a Wide-Angle Plasmonic Selective Absorber for High-efficiency Solar-thermal Energy Conversion,” published in the August 28 issue of Advanced Materials. The authors figured out that the plasmonic-nanoparticle-coated foils formed by their technique perform as well or better than current SSAs and maintain high efficiency all through the day, irrespective of the angle of the sun, owing to the wide-angle design. They suggest that the simple, economical, and environmentally friendly process offers an appealing alternative to existing SSA fabrication techniques. We saw an unmet need for a facile, inexpensive, and sustainable method for fabricating high-performance SSAs. We were pleased that our relatively simple process produced SSAs that performed on par with commercial SSAs and designs reported in other research. To our knowledge, this is the first time a plasmonic SSA has been made using such a process, and the scalability and cost of this approach brings us closer to making solar energy a practical reality for more people. A principal objective for scientists continues to be harvesting sunlight for renewable energy. Solar-thermal converters, which can absorb light from the whole solar spectrum and convert it to heat at extraordinarily high efficiencies, offer a very promising approach to solar-energy harvesting. However, achieving high-efficiency solar-thermal conversion at low cost still is a challenge. As a surface part of solar-thermal converters, SSAs are perfect because they have contrasting optical properties for thermal and solar radiation. They are extremely black across all colors of sunlight (from UV to visible to near infrared light) and can thus absorb virtually all the light and become very hot. However, in contrast to common black surfaces, they are metallic, i.e. non-emissive, with regards to thermal radiation (mid- to far-infrared light). Heat is thus not lost as radiation and can be used, for instance, to heat water or produce steam. A majority of SSAs are made using more advanced, energy-expensive, or unsafe manufacturing processes such as electroplating or vacuum deposition. This raises both the environmental footprint and cost while restricting their accessibility. As a foundation for manufacturing SSAs, the dip-and-dry process is an appealing option, as it yields SSAs that are very efficient, while avoiding the costs and environmental risks associated with other techniques. The researchers, working with instruments and facilities in Columbia Engineering laboratory space and the Columbia Nano Initiative (CNI), could fabricate metal-based plasmonic SSAs using a low-cost process that can tweak the SSAs to match various operating environments, and is compatible with industrial manufacturing techniques. By dipping strips coated with a reactive metal (zinc) into a solution comprising ions of a less reactive metal (copper), solar-absorbing nanoparticles of copper can be easily created on the zinc strips by a galvanic displacement reaction. The beauty of the process is that it can be done very simply. We only needed strips of metals, scissors – to cut the strips to size – a salt solution in a beaker, and a stopwatch to time the dipping process. Jyotirmoy Mandal, the study’s lead author of and a doctoral student in Yuan Yang’s group. 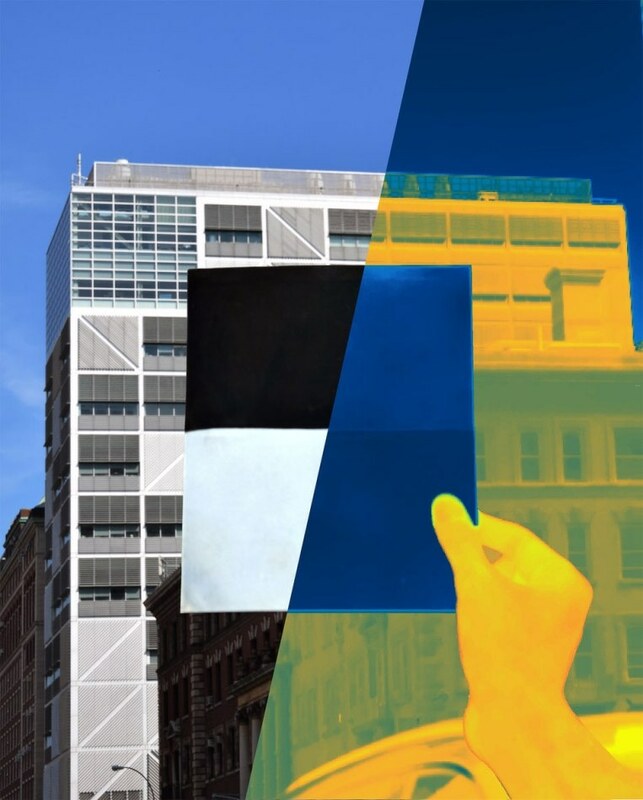 With its broad angle, the SSA solved another long-standing issue faced by solar-absorbing surfaces: the ability to absorb sunlight all through the day from sunrise to sunset. In tests, the resultant SSAs displayed a considerably higher solar absorption at all angles (~97% absorption when the sun is above, ~80% when near the horizon) than current designs. Ronggui Yang, a professor and S.P. Chip and Lori Johnson Faculty Fellow in the Department of Mechanical Engineering at the University of Colorado at Boulder, who was not involved in the research, observed that major challenges exist in attaining wide-angle high solar absorptance materials with low thermal emittance. A low-cost and scalable approach is much sought after by various researchers. I am excited that Yang's research team demonstrated a scalable and environment-friendly process based on the ‘dip-and-dry’ technique. Their durable and high performance plasmonic solar absorber will find immediate applications in solar-thermal systems. The researchers plan to test other groupings of metals besides zinc-silver and zinc-copper and search for ways to further boost efficiencies. They are particularly excited about the potential for the simple and inexpensive process to be employed for solar conversion in developing countries. It is crucial for scientists to find practical ways to address energy- and environment-related problems in communities where they are most acute, like in South Asia. The research was carried out by researchers from Columbia Engineering, the Department of Chemistry at Columbia University, and Stanford University. This study was supported by startup funding from Columbia University, NSF IGERT program (grant # DGE-1069240), AFORSR MURI (Multidisciplinary University Research Initiative) program (grant # FA9550-14-1-0389), and AFOSR DURIP (Defense University Research Instrumentation Program) program (grant # FA9550-16-1-0322). The authors would also like to thank Cheng-Chia Tsai of the Department of Applied Physics at Columbia University for his assistance on this study and Sagar Mandal of the Department of Computer Engineering at Georgia Institute of Technology for guidance on figure design.